Salad doesn’t have to be lettuce-based. I know you wouldn’t expect any less than a revamping when it comes to already-flabberghasting recipes. 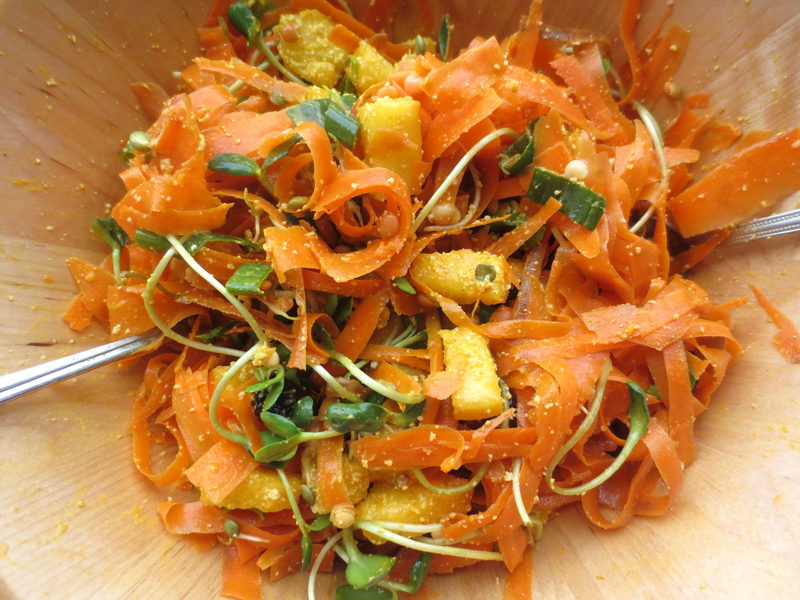 The carrot salad recipe below is as easy on the eyes as it is on your waistline, even with its creamy curry vinaigrette. 1. Soak cashews for at least 1 hour before using. Drain (throw out soaking water). 2. 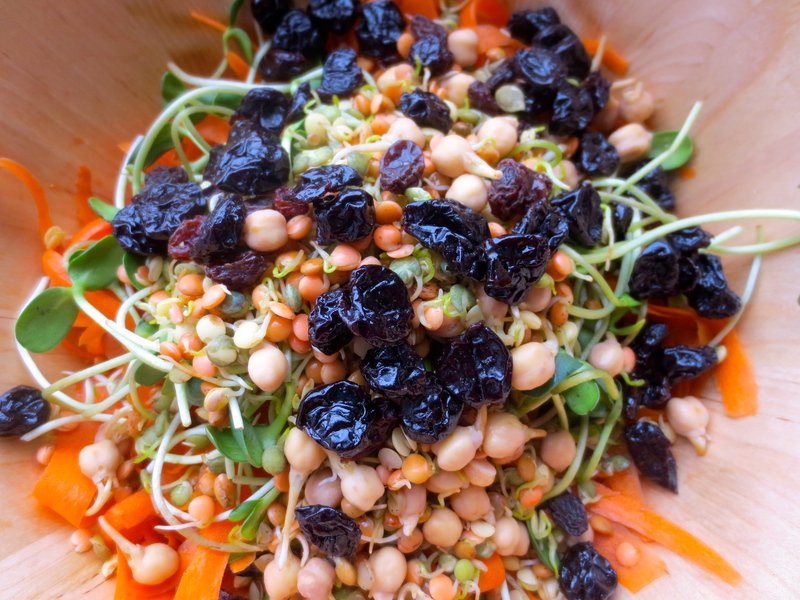 Place shredded carrots, sprouted beans, pineapple, dried cherries and leek into a large bowl. 3. Put all ingredients for the dressing in a food processor (or powerful blender) and blend until homogeneous and creamy texture is obtained. Pour the dressing over the salad. Mix well. Spring clean your god pods!! Love all the colors! I have never had sprouted beans, but looks great!